Summary: In two months, Alona and Will figured out how to work together to help ghosts who are stuck in the in-between to pass on. Their more than friendship relationship is another story. But when Alona finds out her parents are moving on with their lives without her, Alona is set to make them remember who she was– with Will’s help of course. 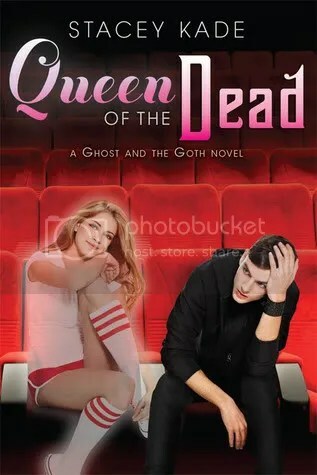 But Will gets distracted by another girl- another ghost-talker who’s part of a secret society. This is Will’s chance to get the answers he needs to understand who he is, but that doesn’t mean he’ll like what he’ll find, especially when it comes to Alona. I wasn’t too worried about the sequel, but I was interested to see where Kade would take her readers. And I was very pleased, because I never expected it! The second book introduces a new story line, and goes a little deeper into Alona and Will’s lives. That being said, the two aren’t together for the whole book, which worked well because it made them both shine and grow in their own way. The romance was on the light side, in the background, while the action and story took center stage. I really like that approach, because it shows that these two individuals have their own issues to sort out, but at the same time, their affections for each other is sweet and natural. And that is why I think Kade is an awesome writer. The book doesn’t’ answer most of the questions it set out with, but it does set up for the final book. I enjoyed reading this installment, and can’t wait to see what’s in store for Will and Alona. Audience: Older teens, for swear words older teens use.